Spread 1 Tablespoon Dijon mustard and soy sauce on each side of pork roast and season as desired. Cover and cook on low for 8-10 hours or until meat is tender. Remove meat; cool slightly. Remove all cooking juices from pan and set aside. 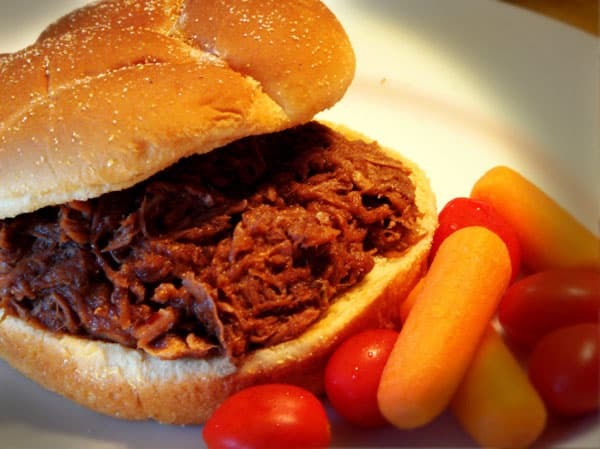 Shred pork with two forks and return to slow cooker; add Stewart & Jasper Cherry Pepper Sauce, BBQ sauce, and vinegar. (For juicer meat, add small amounts of cooking juices back in.) Cook for an additional 45 minutes. Serve on buns.